NEW YORK—While acknowledging that he hopes to improve upon many of the industry’s shortcomings, JPMorgan Chase CEO Jamie Dimon stated Wednesday that his real inspiration for starting a new healthcare company is his deep-seated and unrelenting desire to see a fellow human being die up close. 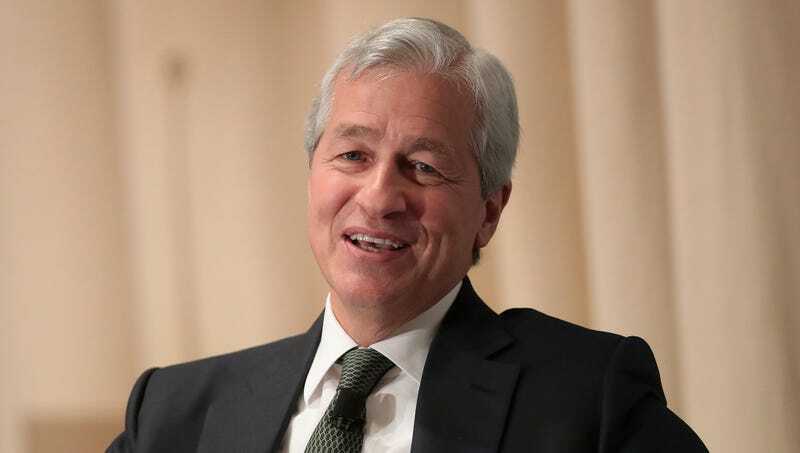 “Sure, I’m looking forward to addressing inefficiencies in the healthcare system, but this new initiative is really more about my passion for that moment when a sickly, gaunt man takes his last breath and leaves this world behind, an event I can’t wait to finally witness in person,” said Dimon, noting that he is eager to work with Warren Buffett and Jeff Bezos on finding innovative ways to look on as a trauma victim dies from painful internal bleeding, or as that last flickering light in the eyes of a hospice patient is quietly snuffed out. “By leveraging advances in technology, we believe we can develop a business plan that revolutionizes the healthcare industry and provides me the opportunity to at long last touch the withered flesh of a dying American as he or she is removed from life support. I look forward to hovering over a body as it turns from supple pink to a cold, unyielding grey. And I plan to linger there, fully appreciating the experience, until I am ushered out of the room by nurses.” Dimon went on to remark that while he would be happy to see anyone pass away up close, watching a small child die would be especially gratifying.